As many of you know 180Dayz succeeded in our kickstarter campaign to fund a 180Dayz school year calendar project. A big help in making this happen was my new friend from the U.K., Mr. Tim Parker-Smith. He was the first to fund the project and also went for the grand prize reward amount. 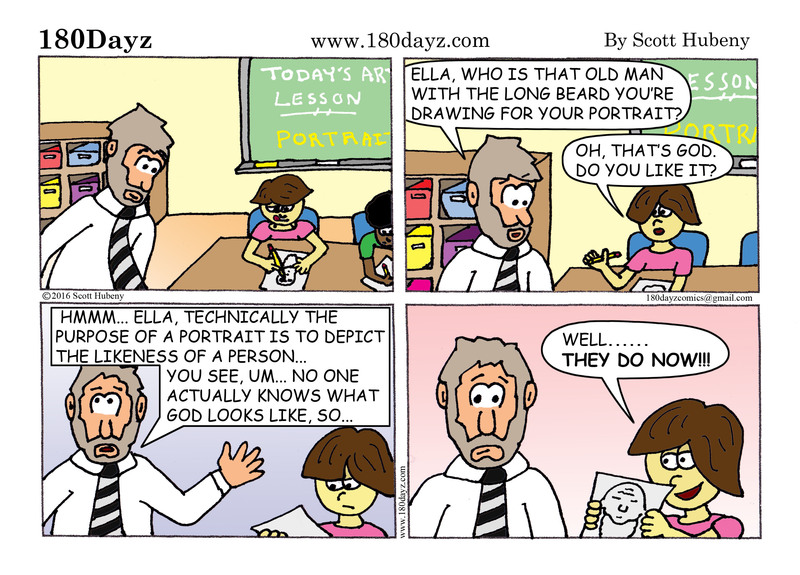 As a result, Tim now stars in his own 180Dayz comic, based on his own personal experience from his classroom. I hope everyone can now share a laugh about Tim’s experience through this cartoon. Continue to spread the word about 180dayz and be on the look out for the new 180Dayz Calendar which should be fresh off the printers shortly. Thanks!